The Original Harlem Globetrotters are known for our amazing feats of basketball, humor, and acts of goodwill on and off the court. And we have always been about our fans, but this year, everything we do will bring fans closer to the action more than ever before. Join us as we celebrate our fans during our all-new Fan Powered World Tour! 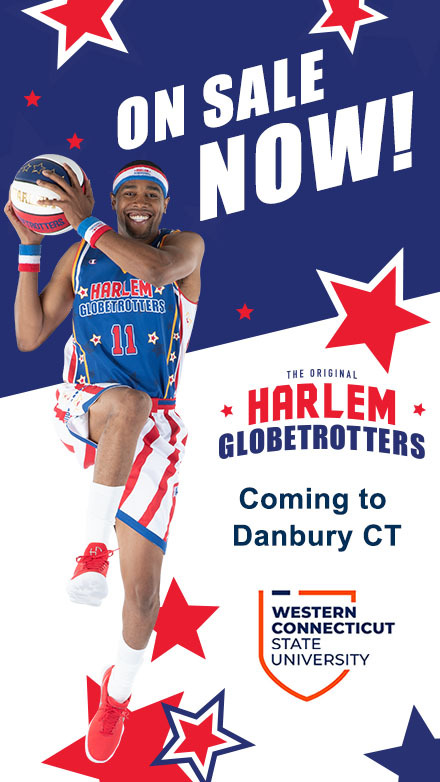 There will be over 20 occasions before, during and after our game where you have the opportunity to directly interact with Globetrotters stars. Before every game, you can secure a spot at Magic Pass, the Globetrotters’ exclusive pre-game event. Magic Pass gives you unprecedented access to the stars of the team, as you learn tricks, shoot hoops, and take photos on the court. After the game, you can take part in a free autograph session. Don't get sold out purchase Magic Pass tickets now. Click the Magic Pass Buy Tickets button on the right. Discounted tickets for WCSU student and facutly/staff are available at the Information Desks in the Campus & Student Centers.